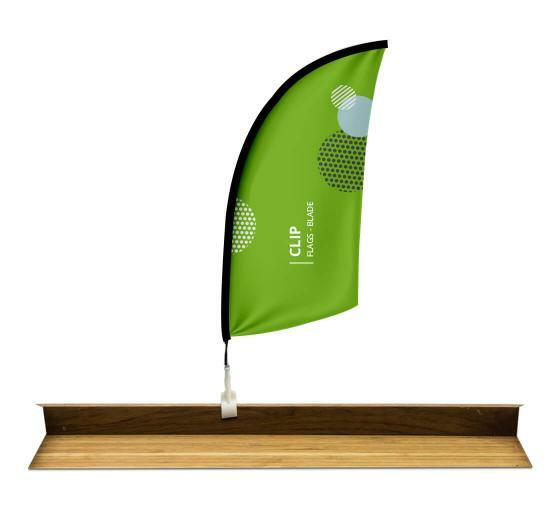 Clip flags are one of the most effective means to advertise! Make sure that you message is always read instantly with our clip flags! Advertise an existing or new product, or share details of an exciting, new promotion. Customize our flags in any way that you want - get any message printed upon them, utilizing just one side or both. Our high quality clip flags come in pretty colors and designs that are sure to entice and engage your targeted audience. We offer clip flags in three shapes: teardrop, rectangle and blade. Our small custom printed flags are made from high quality materials and are a durable solution. They don't easily get damaged and the ink lasts for a long time. We provide necessary hardware with our small custom flags. They are available with a pole and clip. The pole is pivoted to allow the flag to easily turn and reduce the wear and tear. Place an order for these custom printed flags today and let them contribute to your marketing campaign!